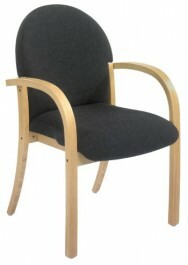 Deluxe Wooden Frame Arm Chair Stackable 5 High Incorporates a Well Padded Seat And Back For Complete Comfort. UK Manufactured. 5 Year Guarantee. The Piero Range of Wooden Framed Chairs Are Fantastic Value, Made To Order & Usually Shipped In 7-10 Days Of Order.